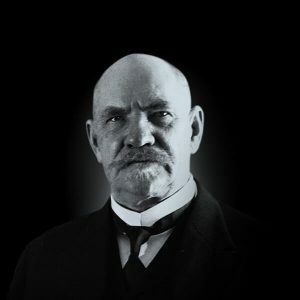 Pehr Evind was born in Sääksmäki on 15 December 1861. His family traced its roots back to the noble Svinhufvud af Qvalstad family from Dalarna, Sweden. He was the son of Pehr Gustaf Svinhufvud, a sea captain, and Olga von Becker. Pehr was just two years old when his father drowned at sea. He grew up at Rapola, the home of his paternal grandfather Pehr Gustaf Svinhufvud af Qvalstad, a provincial treasurer. The house was auctioned off when his grandfather shot himself in 1866, and the young Pehr accompanied his mother and one-year-older sister Mathilda to Helsinki. Olga provided for her family by working in an office and never remarried. 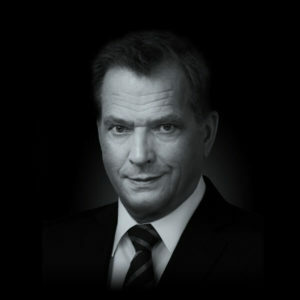 Despite being a Finnish speaker, Svinhufvud attended a Swedish-language school in Helsinki. 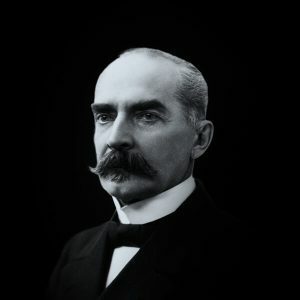 He entered the Imperial Alexander University at the age of 16 and earned his Master’s degree with a major in Finnish, Russian and Scandinavian History in 1882 followed by a Master of Laws degree in 1886. 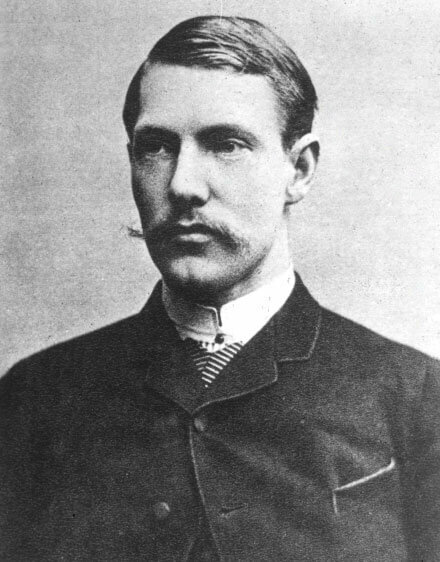 In 1889 he married his third cousin, Ellen Timgren, and the couple had six children: two daughters and four sons. Svinhufvud’s career in law advanced steadily, climbing the ladder at the Turku Court of Appeal. 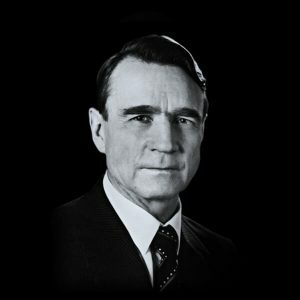 At the age of 31 he was appointed as a member of the Senate’s law-drafting committee. For six years he worked on the committee, initially redrafting taxation laws. Finding the work tedious, he moved to the Court of Appeal as an assistant judge in 1902 with the long-term goal of enjoying a quiet life as a rural judge. Svinhufvud was a heavyset man who enjoying hunting and the outdoors. In his later years he became affectionately known as “Ukko-Pekka” (Old Man Pete). 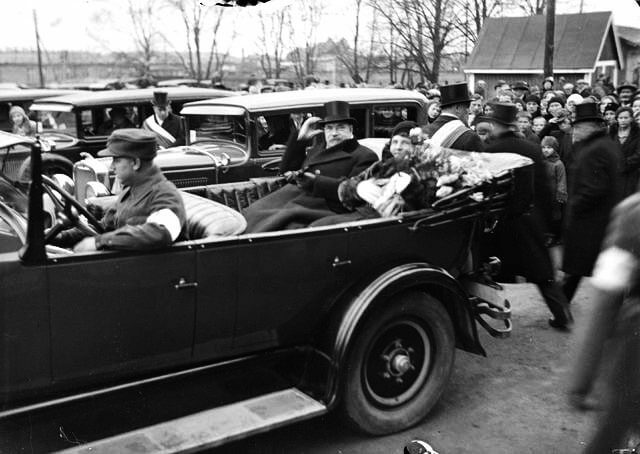 By nature he was close to the people, fair and unyielding – very much a patriarchal head of state. His family home for many years from 1908 onwards was Kotkaniemi in Luumäki. 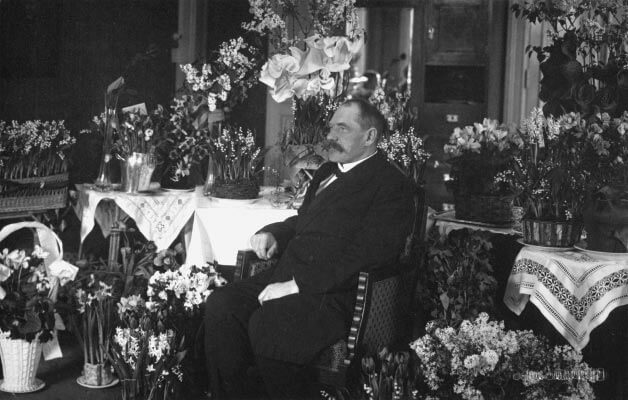 As head of his family, Svinhufvud participated as a member of the Estate of Nobles in the Diet of Finland in 1894 and 1899–1906. The February Manifesto of 1899 sparked a political conflict between Finland and Russia, which wanted to integrate the autonomous grand duchy by Russifying Finnish law and society. 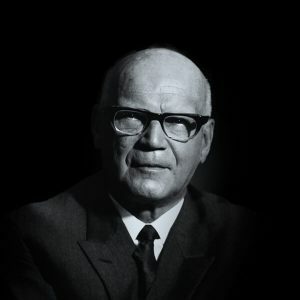 The originally moderate Svinhufvud joined the Young Finns and as a strict constitutionalist became an outspoken defender of lawfulness and supporter of passive resistance. 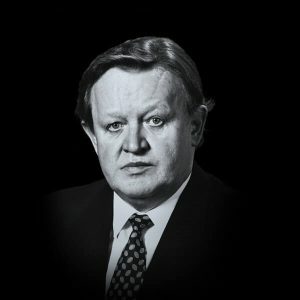 When he was dismissed from the Court of Appeal, he moved to Helsinki to work as a lawyer and became a leading figure in the Kagal, a secret resistance movement. 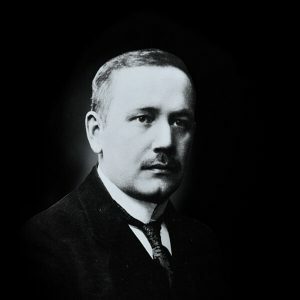 Svinhufvud played a key role in the birth of a new parliamentary system in 1905 and was elected to Parliament in 1906 as a member of the Young Finnish Party. The following year he was elected Speaker of Parliament as the best-known opponent of illegality. He served as Speaker until 1913. At the start of the First World War, when Russia began replacing Finnish officials with Russians, Svinhufvud refused to obey the orders of the Russian procurator, which he considered illegal. As a result, Svinhufvud was exiled to Siberia in November 1914. He spent his time in exile hunting, fishing and writing. His wife Ellen visited him three times. When news of the February Revolution reached Svinhufvud, he walked to the town’s police station and announced, “The person who sent me here has been arrested. Now I’m going home.” In Helsinki he was greeted as a national hero. 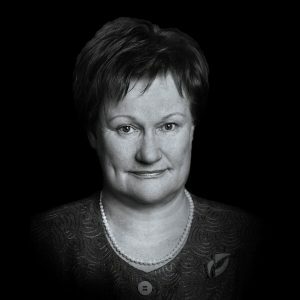 The interim government in revolutionary Russia appointed Svinhufvud procurator of autonomous Finland to uphold the law. It also proclaimed the March Manifesto, which had the most profound implications for Finland by annulling all anti-constitutional laws and decrees. 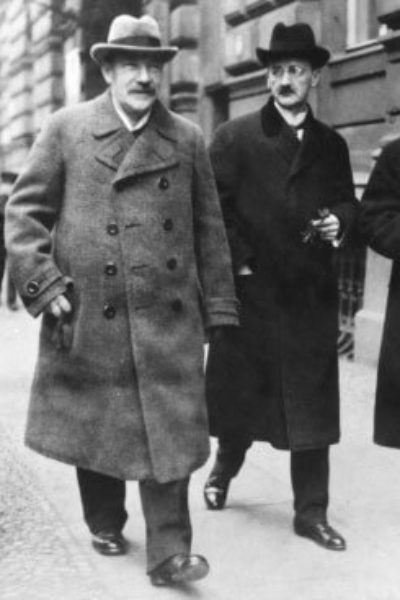 The interim government was replaced by the Bolsheviks after the October Revolution. In November 1917 the Finnish Parliament appointed Svinhufvud to form a new Senate. The so-called “Independence Senate” proposed to Parliament on 4 December that Finland be declared an independent republic. 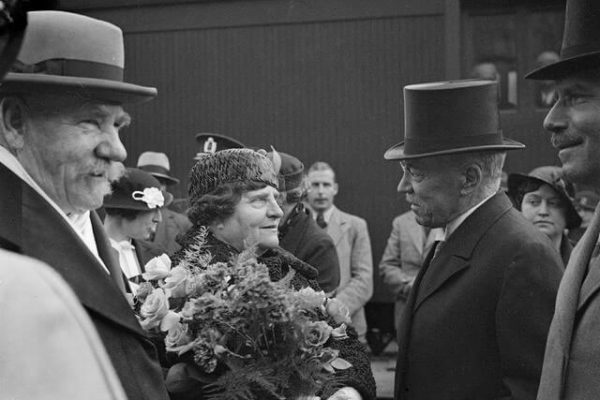 The proposal was approved on 6 December, and on 29 December led a Senate delegation to Petrograd to obtain official recognition of Finland’s independence from Russia. In the last minutes of the year the Council of People’s Commissars under Lenin accepted Finnish independence and granted recognition on 4 January 1918, after which other countries also began recognising Finnish independence. Finland was in a state of upheaval with the outbreak of civil war. 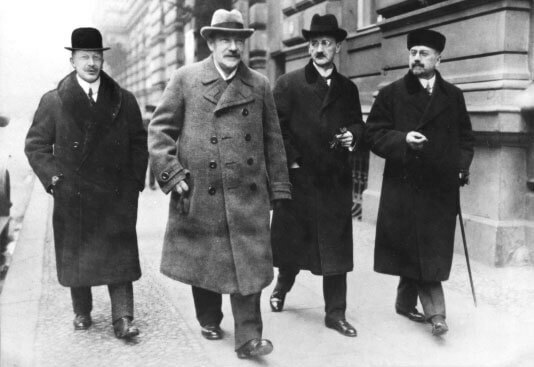 In March 1918 Svinhufvud managed to escape from Helsinki, which was held by the Reds, via Germany and Sweden to Vaasa, where he resumed his leadership of the Senate in exile. An estimated 70,000 Russian soldiers remained in Finland, and the country still lacked an army. Svinhufvud called on the help of Germany and the Finnish Jaegers, young men who had fled to Germany during the First World War to seek military training in anticipation of a war of liberation in Finland. 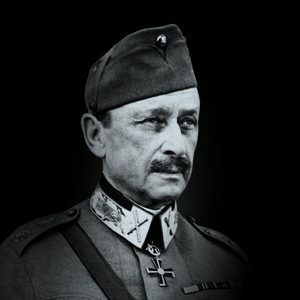 Svinhufvud’s Senate authorised Gustaf Mannerheim to form the new Finnish army utilising both the Finnish Jaegers and the Civil Guard volunteer militia (suojeluskunta). The Civil War continued until mid-May. Svinhufvud was appointed Regent of Finland on 27 May and held the position until December 1918, when he was replaced by Mannerheim. Svinhufvud withdrew from public life but continued to be active in Civil Guard activities and farming in Kotkaniemi. 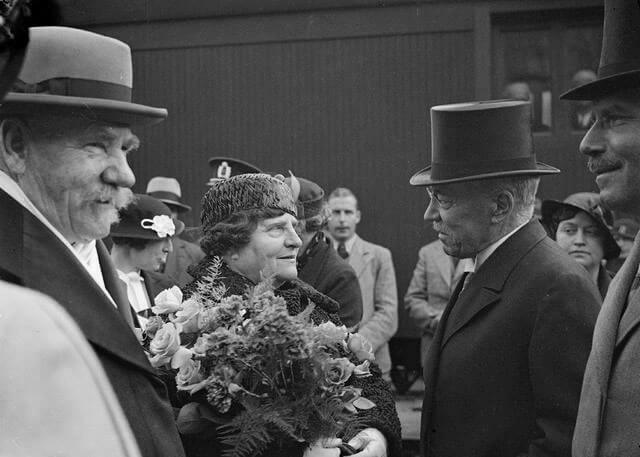 In 1930, at a time when anti-communist sentiment had escalated into the far-right Lapua Movement, President Relander invited the 69-year-old Svinhufvud – often referred to as “Ukko-Pekka” (Old Man Pete) by then – to become prime minister. 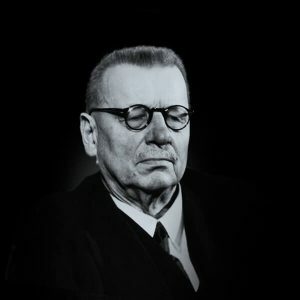 During his term as prime minister the so-called communist laws were passed, which outlawed political activities by communists. 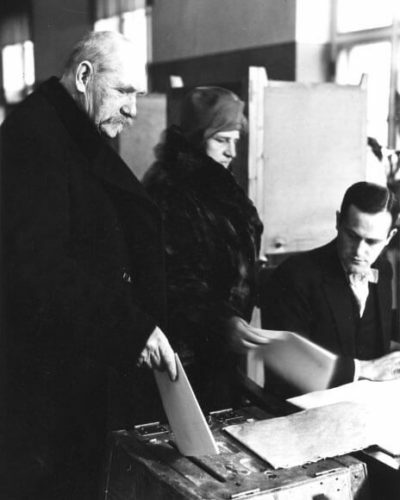 In 1931 Svinhufvud was elected president in the third round of voting with the support of the National Coalition Party and a broad electoral alliance. 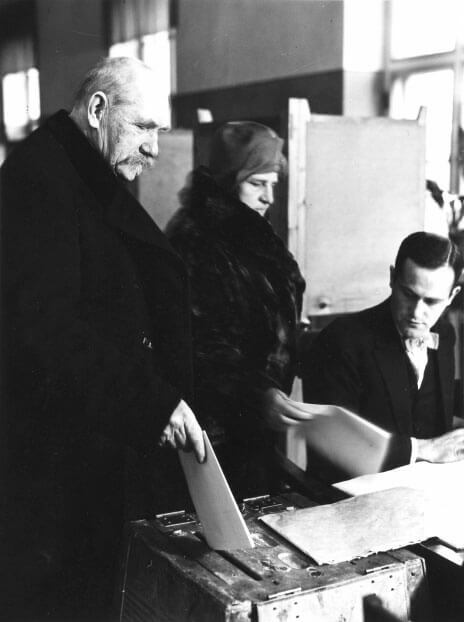 He received 151 votes compared to 149 for former president K. J. Ståhlberg. 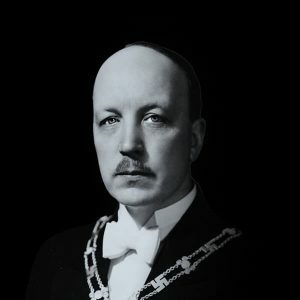 As president, P. E. Svinhufvud appointed Mannerheim as Chairman of the Defence Council and authorised him to overseen the operative preparations of the Finnish Defence Forces in case of war. 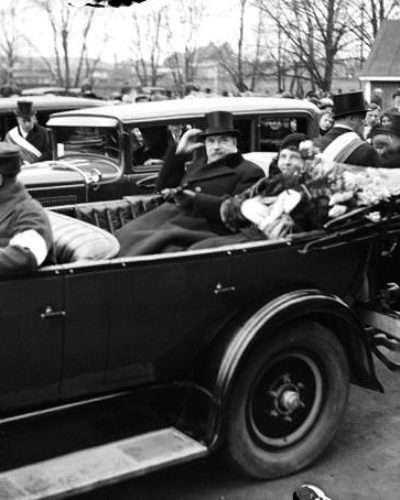 In 1933 Mannerheim received the rank of Field Marshal. The Mäntsälä Rebellion in February–March 1932 was the biggest crisis of Svinhufvud’s presidency. The leaders of the Lapua Movement demanded the Cabinet’s resignation. Faced by this open challenge to authority, Svinhufvud assumed operational control of the Cabinet, Army and Civil Guards. The turning point came when he broadcast a speech over the radio, then a new technology. He called on the rebels to surrender and ordered all Civil Guard members who were heading for Mäntsälä to return to their homes, which they did. 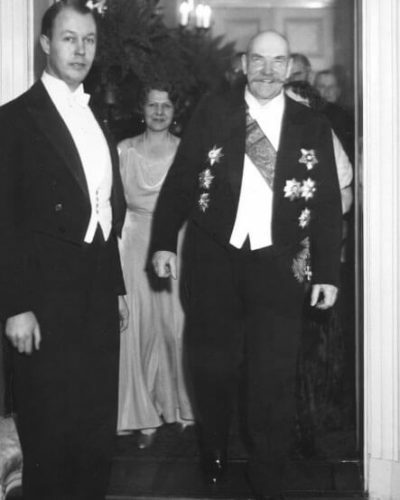 Svinhufvud left the practical handling of foreign policy to his foreign minister. Relations with Sweden were strengthened in all areas, including defence policy. 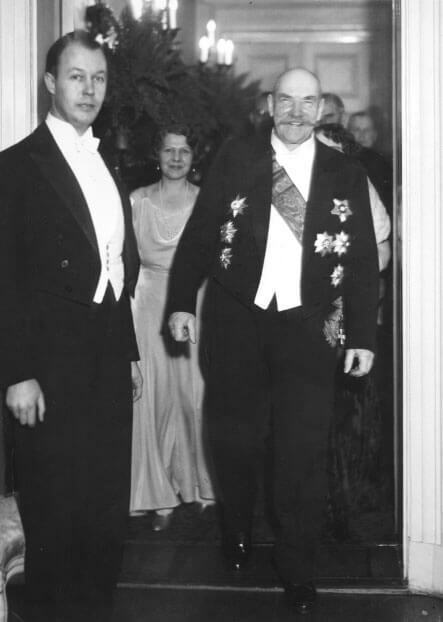 Svinhufvud did not undertake a single official state visit to another country, and in return Finland received no state visits by leaders of other countries. However, he did make several private visits abroad, especially to Estonia and Sweden. 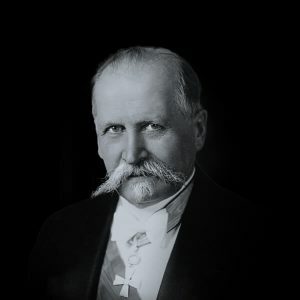 Svinhufvud passed away on 29 February 1944 at the age of 82. 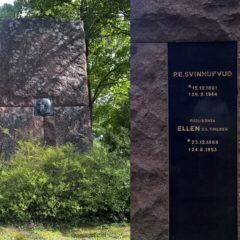 He is buried in Luumäki Cemetery. 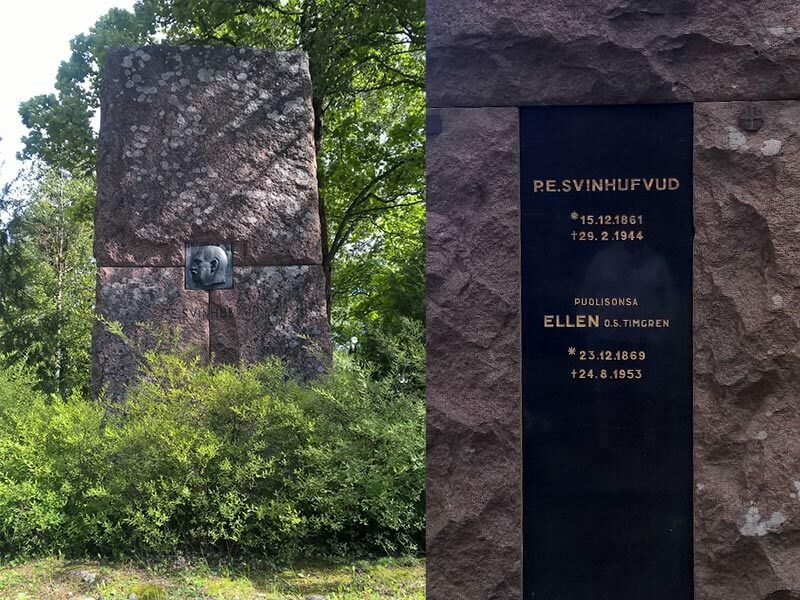 P. E. Svinhufvud was designed by Wäinö Aaltonen and unveiled on the centenary of his birth in 1961 in front of Parliament House alongside the memorial to K. J. Ståhlberg, also by Aaltonen.